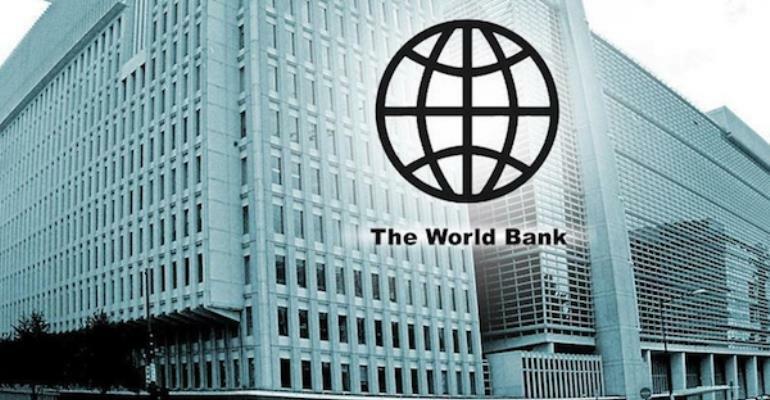 WASHINGTON, April 3, 2019— The Board of the World Bank Group approved on March 27, 2019 a total amount of $143 million International Development Association (IDA)* credits and grants to help Burkina Faso, Djibouti, Ghana, Guinea and Senegal to step up the quality and provision of applied research and higher education with a focus on the areas of science, technology, engineering and mathematics (STEM). Africa currently only produces few graduates in STEM compared to other fields, and the development of high-level skills is needed to increase productivity and promote the economic transformation of the continent. The First Africa Higher Education Centers of Excellence for Development Impact (ACE-Impact) aims to improve the quality, quantity and development impact of postgraduate education in selected universities in the beneficiary countries through regional specialization and collaboration in the fields of STEM. With this new project, the World Bank is increasing its total financing for the Africa Centers for Excellence (ACEs) to $456 million, including the previous phases – ACE 1 ($165 million) and ACE 2 ($148 million)— currently operational. Most specifically under the three projects, overall 45 universities in 19 countries are implementing 58 ACEs where a total number of 24,000 students are enrolled, including 10,500 at the Masters’ level and 2,400 at the PhD level. 34 programs are certified to meet international quality standards, thus showing African higher education can meet global standards. “The World Bank’s support for the ACEs is a shining example of how countries can come together for the benefit of everyone”, says Rachid Benmessaoud, Coordinating Director for Regional Integration in West Africa. “Under this regional program, each country specializes in a set of disciplines and encourages student and faculty exchanges so that among the countries many more disciplines are covered. They also establish strong regional and international partnerships to raise the quality of higher education and research”. The newly-approved First ACE-Impact project will support sixteen (16) centers of excellence (ACEs) and two (2) “emerging centers”. While the ACEs aim to build regional capacity to deliver high quality postgraduate courses and conduct international caliber applied researches, the “emerging centers” will receive support to strengthen their programs mostly at the undergraduate and master’s level in a priority field. “We are happy to help address the key challenges facing the higher education sector in Africa, so it can better contribute to regional development priorities. The ACE-Impact project responds well to the continent’s needs for scientific and technical skills to achieve its industrial development”, says Ekua Bentil, Education Specialist and co-Task Team Leader of the project. The new project is well aligned with the Africa’s regional economic communities’ strategies as well as with the national development strategies across beneficiary countries. It also contributes to the World Bank Group’s twin goals of poverty reduction and shared prosperity and is part of both the World Bank Group’s Africa regional integration strategies for Sub-Saharan Africa and Northern Africa. It has been designed following the ongoing successful implementation of projects under the first and second phases of the ACE project and focuses on computer sciences, water and electrical engineering, transport and logistics, environmental sciences as well as targeted agriculture and health sciences. Each of the centers is regionally unique and effective in promoting regional specialization. Further, they have been successful in keeping the best African talents in the continent as well as attracting the best African professors from the diaspora and ensuring the dissemination of knowledge throughout the sub-region. * The World Bank’s International Development Association (IDA) , established in 1960, helps the world’s poorest countries by providing grants and low to zero-interest loans for projects and programs that boost economic growth, reduce poverty, and improve poor people’s lives. IDA is one of the largest sources of assistance for the world’s 75 poorest countries, 39 of which are in Africa. Resources from IDA bring positive change to the 1.5 billion people who live in IDA countries. Since 1960, IDA has supported development work in 113 countries. Annual commitments have averaged about $18 billion over the last three years, with about 54 percent going to Africa.